In winter 2013, we decided to produce Bell Nursery’s spring 2014 crops without neonicotinoid pesticides. While the science does not exist proving that neonicotinoids (neonics) as a class do any significant harm to bee populations, we wanted to learn for ourselves about the impact of growing neonic-free. The verdict: we lost product that we would not have lost had we been using our normal chemical rotations. We also learned that as we reduce chemicals available in the rotation, systemic or otherwise, we run the risk of developing resistance to the remaining treatment options we have to choose from, and/or resorting to broader-spectrum, typically harsher chemicals. In addition, many of the replacement chemicals are non systemic and foliar, requiring multiple applications and thereby increasing worker exposure. Last, we are concerned that chemical alternatives would be harmful to biological controls used in Integrated Pest Management (IPM), in which chemicals are used only after biological alternatives have been exhausted. For these reasons and more, we believe neonicotinoids are the safest class of chemicals in our toolbox. “A ban on neonicotinoids would not benefit bees, because they are not the chief or even a significant source of bee health problems. Varroa mites are, along with the lethal viruses they vector into bee colonies,” said Dr. Henry Miller in the recent Wall Street Journal editorial, “Why the Buzz About a Bee-pocalypse Is a Honey Trap.” Miller is a physician and molecular biologist, a fellow at Stanford University’s Hoover Institution and the founding director of the U.S. Food and Drug Administration’s (FDA) Office of Biotechnology. In addition, without neonics, entire forests could be devasted by the Emerald Ash Borer, Asian Longhorned Beetle, Hemlock Woolley Adelgid and the Japanese Beetle. In horticulture, the state of Florida could cease export of hibiscus because neonic treatments are regulated for transportation across state lines. Through IPM, the treatment we use depends on a few key factors. First is vigilance in scouting for potential problems. If pests are found, we move quickly to address the problem before it destroys the crop and/or spreads to another one nearby. First in line are biological controls, or natural remedies such as ladybugs, then pesticides may be used as a last resort. There are few neonic alternatives that are systemic. Systemic treatments are typically applied one time to the soil to be absorbed into the roots and can provide up to 10 to 12 weeks of control in the greenhouse. They are popular and preferred because they are both effective and safe to mammals, birds and beneficial insects. Foliar applications (sprays) are harder to manage and can drift to other crops, and affect insects outside our target area. They often require multiple applications, which puts our workers at risk. When you take neonics off the table, there just aren’t that many options that are safe and effective for plants, pets and people. Moreover, when you reduce the options, you increase the risk of resistance developing to those you’re left with. The most effective use of controls, chemical or otherwise, is to rotate through the full range of options, and the more options we have, the better. In addition, some alternatives may cause injury to the plants and biological controls. One alternative pesticide we tried this year affected the flowering of verbena. Also, there are limited options for geraniums, which could lead to reduced production of one of our most popular varieties, sold as bedding plants and as part of our most popular combination containers and baskets. This affects our business all the way through the supply chain. Many of the cuttings we use to grow our most popular varieties originate from farms all over the world. Control of pest populations start there and while many controls are used, the use of chemical treatments ensuring safe transit into the United States is crucial to our industry, our environment and our economy. The USDA has a zero tolerance policy on allowing pests in at the border, and we should all have the same approach to our own growing practices. Without effective pest controls, we run the risk of spreading bugs, even super bugs, that affect our country’s most basic and essential commodity crops, such as the Q-Biotype whitefly with cotton. Similarly, without effective controls, our industry runs the risk of needing to drastically reduce the number of varieties offered, perhaps growing more seed and fewer offshore cuttings. Finally, without effective controls, we run the risk of spreading whitefly and other common pests into consumer gardens. Insect populations are becoming harder to control over time, developing resistance in general. Whitefly, aphids and thrips are of particular concern in horticulture. Our main challenge, however, is now in public relations where environmental groups have made headway putting out misinformation. Considerable efforts are being made to ban neonics and other pesticides used in horticulture and other industries. Ironically, our industry makes up probably less than 10 percent of total neonic usage, but we’re highly visible and an easy target — you can see bees going to flowers. Plus, only a miniscule percentage of European honeybee populations in the U.S. forage in the wild, as 90 percent live in managed beekeeper hives and are transported to pollinate crops as needed. More than half the hives in the United States are taken to California each year to pollinate the state’s almond crops. In Australia, the only continent without the Varroa destructor mite, which researchers have called the biggest threat to bees, and where neonic usage has steadily increased since their introduction in the 1990s, honeybee populations are stable. Similarly, Canada’s canola industry depends on neonics to control the flea beetle, but “those neonicotinoid-treated canola fields support such thriving honeybee populations that they’ve been dubbed the ‘pastures for pollinators,’” according to Miller. Miller also quoted the United Nations Food and Agriculture Organization statistics, which state that the world’s honeybee populations increased between 1960 and 2011, including the past two decades since neonics were introduced. 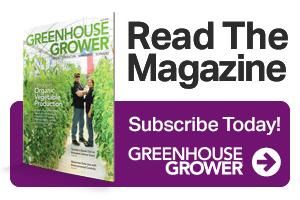 As a grower and businessman, I am most concerned about the pressure our industry is under from a public relations campaign that is not based on science. This is happening not only in horticulture but also in agriculture, which is critical to our survival and economy. I encourage everyone to read and consider Miller’s piece, and avoid the honey trap. 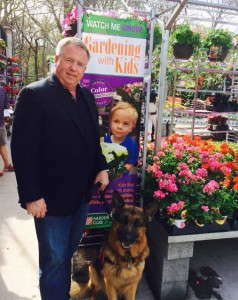 Gary Mangum ([email protected]) is CEO of Bell Nursery in Elkridge, Md. See all author stories here. Honey Bees are not the only pollinators out there. Why isn’t there more education and talk about Mason Bees? These creatures are amazing and can be a huge part of the solution if we can educate our customers on how to raise them. And if we can do our part to raise them as well. http://www.ars.usda.gov/Research/docs.htm?docid=18333 shows USDA recognizes Mason Bees. I think the issue is honey and bees wax are a source of income to bee keepers and these bees don’t provide it. Hi Debbie, Mason bees are really amazing, and together with honeybees, they are very efficient at pollinating. The problem is that neonicotinoids kill mason bees, honey bees, butterflies, native bees, honey bees, you get it….all pollinators. If neonics could be used as a last resort in an Integrated Pest Management way, that would make a huge difference, but they are used in the nursery often as a prophylactic, such as treated seed or soil drench. This is too simplified. All the public is asking is to stop the use on flowering bee or butterfly plants. In the Santa Clara County Beekeeper’s Guild, we get a report of lost hives and upon investigation, a neighbor bought nursery plants. Use it for all the other plants you mention, but please consider blue colored and butterfly plants are bee magnets. Unfortunately Mr. Mangum doesn’t understand the science of neonicotinoids. They are long-lived, water soluble, neurotoxins that are not just a threat to honeybees, but also bumblebees, other insects, birds, earthworms, and most likely to ourselves. As they are used in virtually all GM corn and soybeans, they are in most of what we eat and drink in the U.S. (you can’t wash them off–they are in the food) and there is disturbing evidence that they may be harmful to human nervous systems, especially in those which are developing like fetuses, infants, and children. Mr. Miller will say or do whatever is necessary to support the industries that most likely support him–Monsanto, Bayer CropScience, and others. I would not buy products from Bell Nursery–one is just spreading toxic chemicals that show up in our surface waters, as a recent USGS study just showed in Iowa. Unfortunately Mr. Chivian “M.D.” does not know how to read an MSDS sheet. Now I don’t have a fancy degree from Harvard or anything, but tell me sir, why do these chemicals have LD50s that are higher than table salt if they are so dangerous? The classes of chemicals currently on the market (organophosphates/chlorines) that would replace these neonics are incredibly dangerous to humans. There is not just “disturbing evidence” supporting that statement either – it is a fact that has been known for quite some time. People like Mr. Chivian who espouse bans on neonics are literally trading human safety for bee safety and as someone who applies these chemicals regularly that disgusts me. As a human who eats food, I am all for pollinator health. There have been bee safety statements on these chemical labels (as well as pretty much every other insecticide out there – and I know because I read the labels, not just green propaganda) for a long time. If applied in a manner consistent with the label, these chemicals can be used to protect the crops we grow as well as the bees that pollinate them. The problem comes when applicators ignore some pretty straightforward rules and apply these chemicals off-label. Instead of banning these chemicals for all, those that apply these chemicals illegally should be hit with hefty, punitive fines and have their licenses stripped. If some idiot drives their car 100 mph down the wrong way of the freeway and kills someone are you going to ban cars? It is comical to hear some of the dogma coming out of the quasi-religion that the green movement has become. They just throw around statements like “GMOs” and “Monsanto” as justification for their extreme ideas and actions. What do GMOs have to do with neonics Mr. Chivian? Or is that just more of your propaganda? “Mr. Miller will say or do whatever is necessary to support the industries that most likely support him–Monsanto, Bayer CropScience, and others”. So, as the “Founder and Former Director” of the “Center for Health and the Global Environment” you are not biased at all right? You couldn’t possibly have an agenda, right sir? Thank u, Conner Carey…Yep, I spotted the propaganda and lies also. I would Loooove to know the payoff for this fabrication of “true” research. My guess is that your “science” is probably like your reading and retention ability. Had you actually read what was written you would see that the company, Bell, did not use neonics in 2014 production – why would you state don’t buy from Bell, the company is spreading toxic chemicals? – why, because you can’t deal with common sense disagreement or just reach out and have a reasonable conversation? The comments were related to the fact that I believe the agenda that you and select others have is flawed as you would remove chemicals that are among the very safest from the toolbox. Human safety, food production, agriculture – feeding and clothing ourselves and much of the world, protecting our forests and farms – Look at all of these things. Neonics, by any objective standard work effectively and safely. Industry should follow the regulations, not partial or agenda driven “research” with fundraising at the heart of the agenda. This is the first time I’ve ever visited this site and was surprised to see these aggressive statements. Kudos! Thank you for your comment Eric! “Gardening with kids” is the poster featured behind the author. Really?! Neonics are poisons that are effecting our children’s health too. It might be easier to use them initially but the myriad of dangerous health risks caused ( as you mentioned) are costly and must be considered. Can you explain to me what any of these health risks actually are? Or would you just prefer to make vague, uneducated statements? Neonics some of the safest chemicals out there from a HUMAN safety standpoint. You should try actually reading an MSDS sheet and make an informed opinion instead of regurgitating someone else’s viewpoint. What you fail to realize is that if these chemicals disappear, the world will not stop using pesticides and from a human safety standpoint, a ban on neonics would be more dangerous! If you ban these chemicals tomorrow, they WILL be replaced with something. Currently the best substitutes for these chemicals are organophosphates (Orthene, Mesurol etc.) and their use would most certainly increase with a ban. Do a little research into some of those chemicals and how nasty they truly are. Then tell me how dangerous neonics are. As someone who handles and applies these chemicals regularly it disgusts me that uneducated, ignorant people are pushing for a ban that would make my job more dangerous simply because they don’t truly understand the issue – all they do know that they hate Monsanto and that should be justification enough. Comments like Lorena’s and Erick’s undermine true science and it is people like them that are responsible for the hysteria and fear-mongering going on in the news. I completely agree with Conor and Gary. Legitimate science should be the guide in deciding this issue. Not slighted science done to serve a given “scientists” personal agenda or opinions from miss informed or delusional extremists. Lorena – I noticed your comment about kids. That’s my grandson on the cart banner, can you tell me where I can find the research you’re talking about? The EPA says that neonics are the safest class of chemicals, and in fact safest for mammals (humans). Is there something I’m missing or is it all pesticides we should get rid of? Yes, we should be getting rid of all pesticides. Organic gardening is the only way to go. When done right, it works. Thanks for your response. I will not buy any plants from Bell as they are deliberately misleading the public. Behnke Nurseries have sworn off of Neonicotinoids, period. I’d suggest just the opposite ecogayle. Any plants that we choose to treat with neonics would be labeled accordingly. That was zero in 2014 and could be zero in 2015, though that’s our decision to make. There are plants shipped to virtually all garden centers, independents and big boxes that must be treated with neonics to cross the source state line. Ask your preferred garden center about summer blooming tropicals such as Hibiscus as well as indoor plants they may or may not sell. We will always be honest, and we will also follow the research. I am the co-manager of the Perennial Dept. of a large Independent Garden Center . Our suppliers have no trouble at all, providing us with beautiful ‘neonic’ free plants . I noted Mr. Mangum’s company is an exclusive supplier to one of the “Big Box” chains… my customers will note that . I will always follow what fact based work says to follow, and along the way our team is willing to experiment in a meaningful way with our own growing situation. Hope you can help. Well Mr. Mangum, I made no such suggestion, that neonics should not be “in the toolbox” . I just don’t think they are necessary in all blooming plants . I frequently recommend Acetamiprid (sp?) for certain garden issues, I use, and recommend Imidacloprid for Hemlock Adelgid, but I won’t use it in my Coneflowers and Columbine . I read the Miller/WSJ article several weeks ago, and felt then, it made several generalities . I also noted it failed to mention the 2nd Lu/Harvard experiment . The Varroa Mite, and the Virus it vectors, are serious issues, but there is mounting evidence the neonics are contributing to CCD – if just from feeding High Fructose Corn Syrup to the bees in Winter . Yes, further research is needed ! So we may be on the same page Craig. Only difference may be that the Harvard experiment was not credible or even close and maybe you give that some level of credibility. Most folks on the adverse PR side don’t mention this, but the +/- 4,000 native bee species – which are what 98% of us see in our backyards, all die every year (not sure about CA or warm climates). Queens over-winter. Some of the “research” that’s been done helps to confuse legit CCD questions with emotion driven by broad brush PR. Again, I’m not very smary but have learned to read and ask questions and have done a bunch of both in this case. Our conclusion is the same, serious targeted research. Please encourage your business owners to participate and I hope many of us will. Facts will help us all make the right decisions. Interesting that what is quoted in the comments below is con tray to what our Maine state bee Keeper has said about Neonicotinoids…that it is NOT the chemicals but in fact the mites and the virus’ they carry that have caused record hive collapses over the last 20 years. Kyle, That is simplistic, and you should know it . Would you be willing to share what percent of product you lost due to being neonic free? Just to clarify, it sounds like neonics should remain a tool, but as its preventative use is reduced it would be good to know the upper limit on possible losses. AND, neonicotinoids remain in the soil for months, sometimes years, and keep expressing themselves in the guttation, nectar, and pollen in surrounding plants. So, safe for humans as far as the application goes, but in the long run? How will we continue to have blooming flowers and fruit and vegetables once our pollinators are gone? Id ask what science are you quoting, specifically? I find it surprising you would champanion a product that does go into plant pollen and has been scientifically shown to be effecting all bee populations, not just honeybees. This includes bumblebees and mason bees as well as other native species. I suggest this is short sighted on your part as well as overstating the dangers of not using theses products. They are fairly new so things survived without them previously. Didn’t we learn anything from how DDT created problems. Easy answers would be nice, however ecology is a web not a straight line linkage and no amount of wishing will make it so. Please explain your statement and share the research your using. That could be helpful. Have you seen the new health statistics just released by the USDA? The inconvenient facts. Are you aware that the bees used in the Harvard study were poisoned? oh no, more “alternative facts” on a blog passing as actual science. I have to disagree with Bell Nursery. I am a bee keeper and neonic studies have shown that it stays in the ground up to 15 years. The pollen has the pesticide and with other factors breaks down the bees immune system. I understand the need to save money but why is ok to hurt someones business to preserve your own. I know because it is easier. I grow organically. Try soap and water for mite control. Herbs and mineral oil. Yes more applications but less expensive in the long run. I will not buy from someone who puts nature in jeopardy for their own gain.